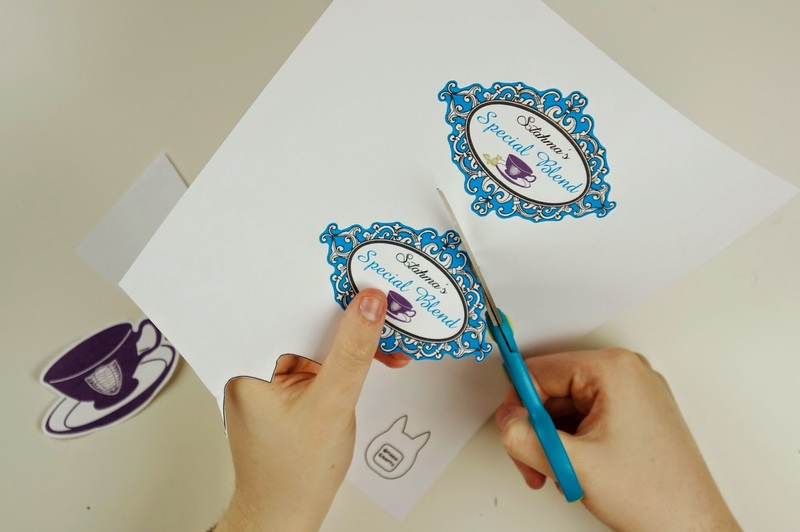 The first thing you will need to do is print out the label template. 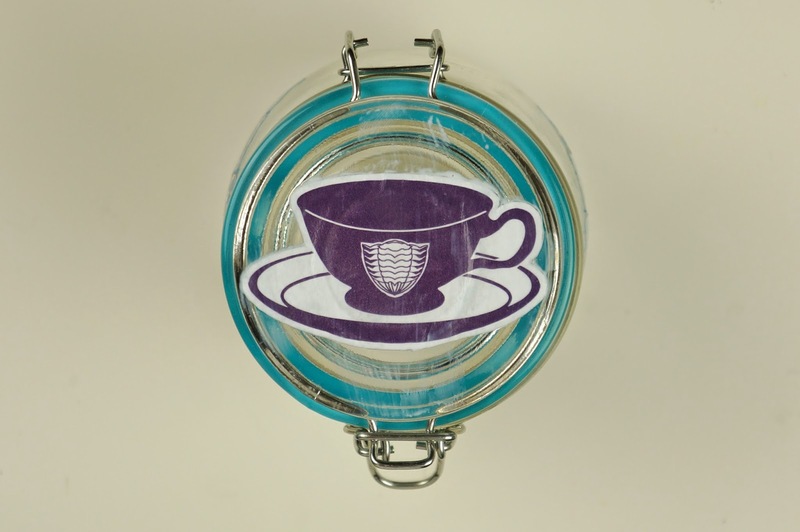 You might need to resize it to fit to your jar. 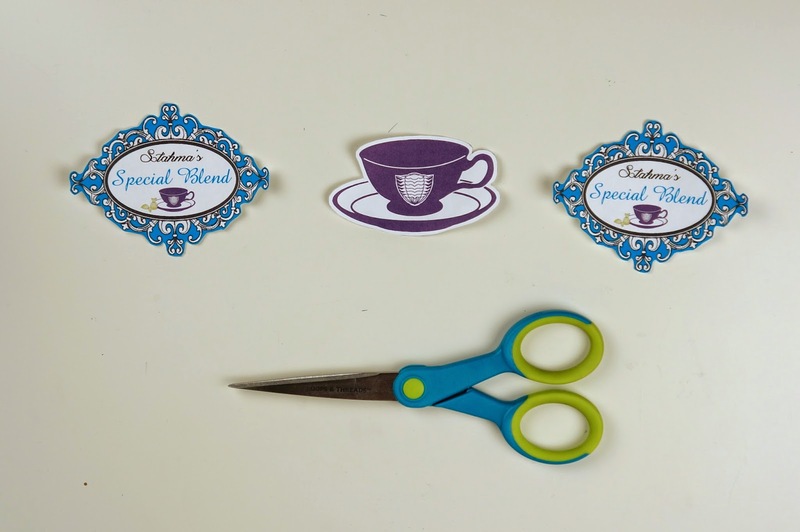 Once you have the template printed, cut out all 3 pieces. 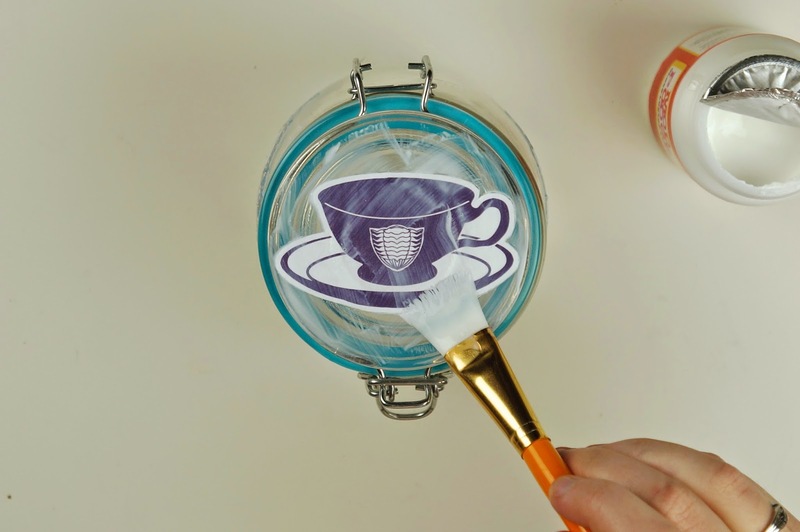 Brush some Mod Podge or watered down glue onto the side of the jar. 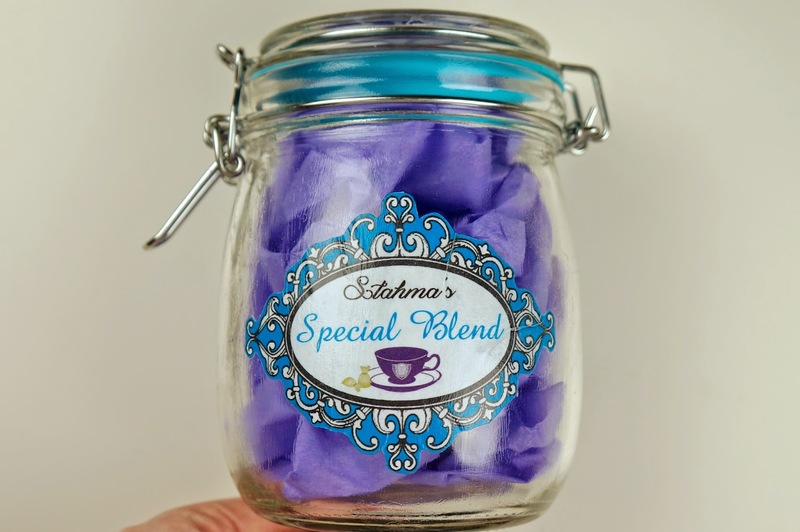 Place one of the "Special Blend" labels onto the gluey area. Smooth over the label with more Mod Podge getting rid of any bubbles/ wrinkles and sticking all the edges down. Do the same on the other side of the jar with the matching label. 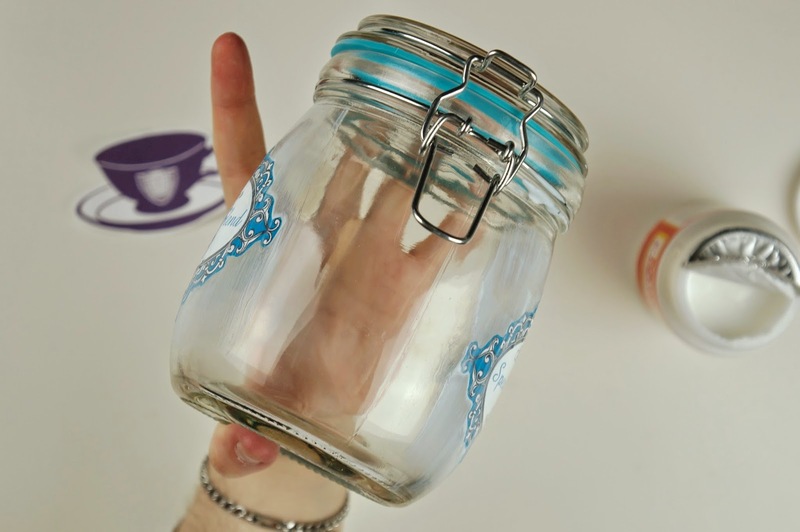 Glue the remaining tea cup label to the lid of the jar the same way as the other labels. 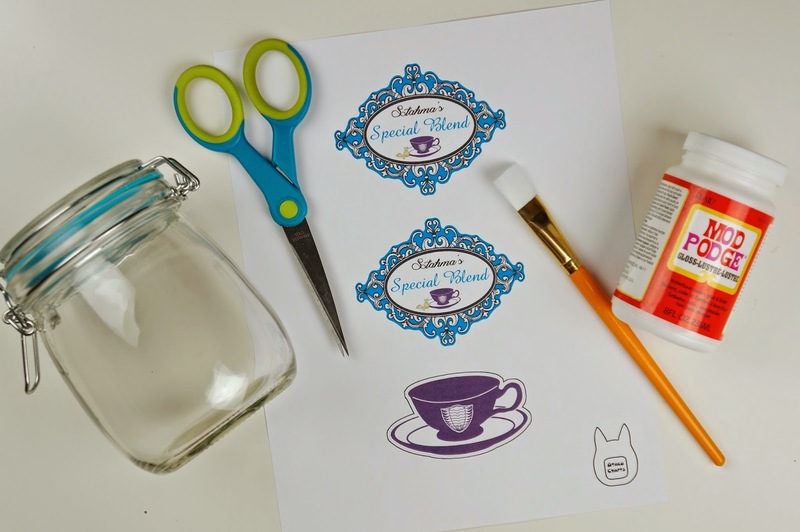 Let your Mod Podge/ glue completely dry and go over the labels again if necessary. 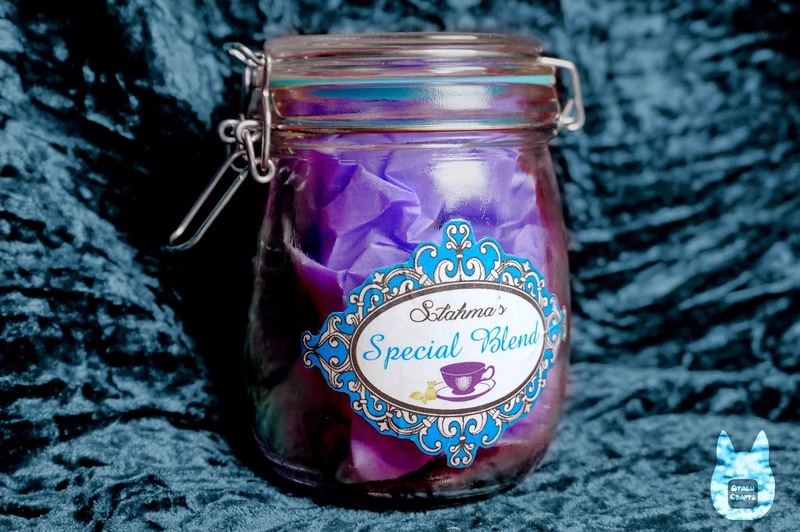 No you have your finished "Stahma's Special Blend" jar!